Italian promoter OPI 2000 will promote an interesting doubleheader April 12 with site to be announced. 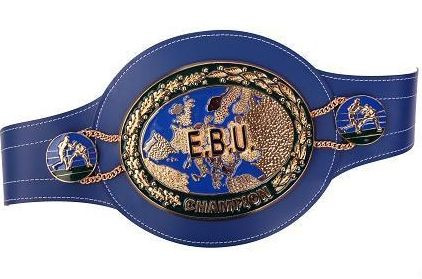 EBU welter champ Leonard Bundu (30-0-2) will defend the title against 43-year old veteran Gianluca Branco (48-3-1). In the co-feature Valery Yanchy (22-3-2) again square off against Andrea Sarritzu (34-6-5) in a fight that was first set for March 23. Another OPI 2000 fighter, EBU superlightweight champ Michele Di Rocco (36-1-1) is heading for a title defence in Finland against Edis Tatli (22-0 and reigning WBA I/C ruler at lightweight). Date is not set yet. Mandatory challenger for Di Rocco was former British titleholder Darren Hamilton but as he lost to Curtis Woodhouse he was removed from that position.